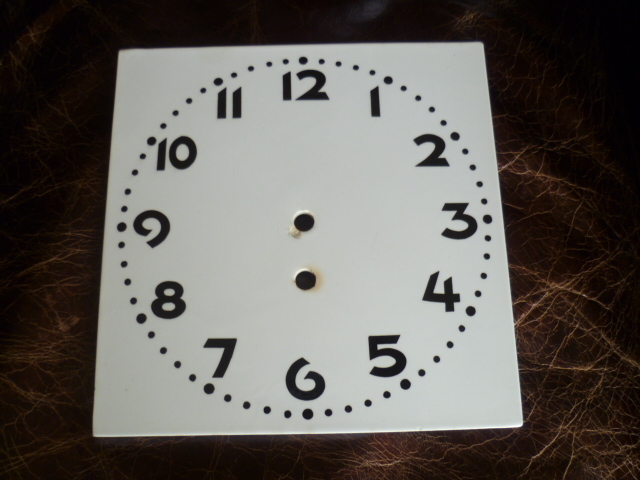 Picked this up this morning, 8.5 inch along the side china clock face. It has impressed coding marks on the back but nothing that helps. There was a mechanism for a pendulum clock on the stall and it had a key with a maker's name S something with an umlaut lowercase a letter after it. So German or Swiss I would have thought but no guarantee the key, the mechanism and the face were all made in the same country. Anyways, completely forgot to note the key maker name so no help really. 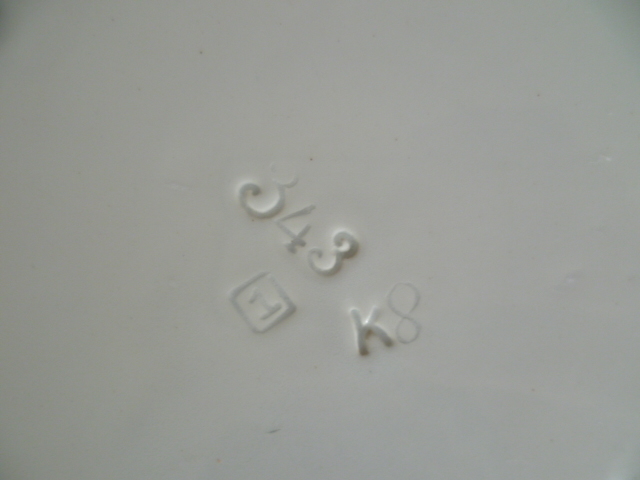 Can anyone gauge the age of the face from the hand painted numeric styling or the stamped marks? Any worthy considerations, greatly apprecitated. It looks to me like the kind of things produced by the Eichwald Pottery in Bohemia. Besides produce their own wares such as the Art Nouveau/Jugendstil ceramics that they are most famous for that produced ceramic "additions" for other wares such as this. I know them for producing ceramic bases etc. for WMF metalware. The number codes of the back look correct and, if not them, then I would suspect a rival from in or around Germany. 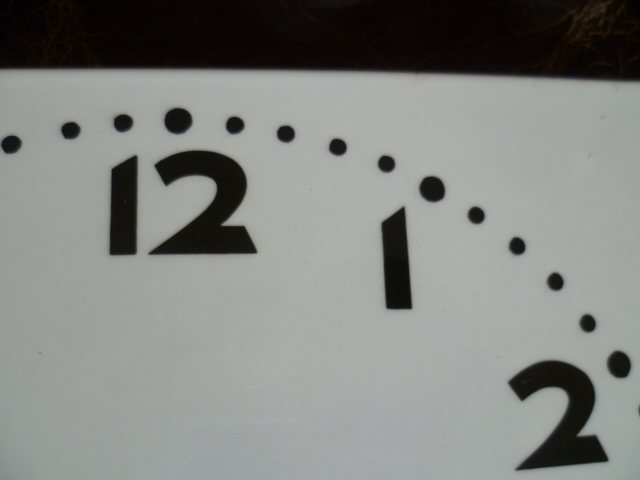 The number font looks "modern" to me so I would go for 1930s, although it's just an educated guess and could be earlier or later - so first part of the 20th century! Must agree with the German/Austrian attribution. Whenever I set that typeface I think of those countries as they produced so much with them.